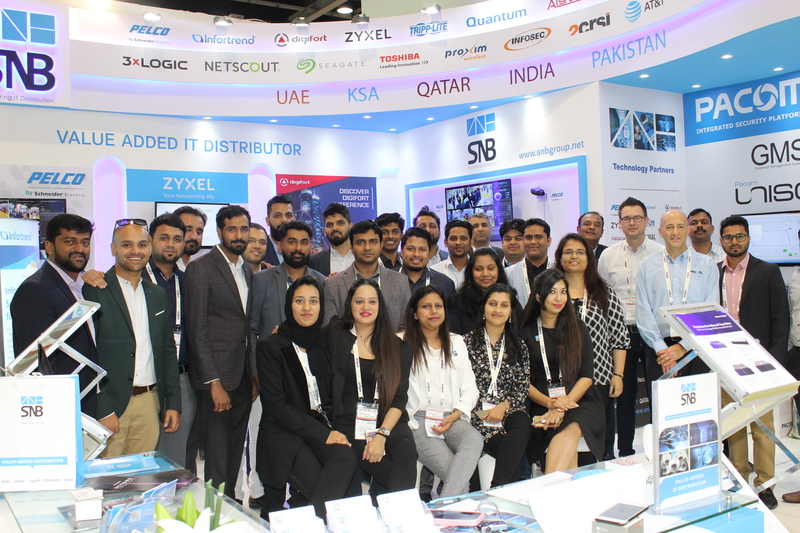 SNB IT Distribution participated successfully in Intersec 2019 by moving a step ahead in achieving greater milestones. SNB showcased LIVE DEMO of surveillance, networking, data processing, data storage – back up, access control & IT Security. SNB and its sponsors Pelco by Schneider electric, 2 CRSI, Zyxel, Pacom & Western Digital introduced their latest technologies across various verticals and met some of the best decision makers who might be supportive in developing the businesses and future growth of the economy by heading towards Expo 2020. In addition to this, SNB announced partnerships with 2 new vendors 2CRSI & Antaira. 2CRSI supporting with their best of breed servers, storage & HPC solutions through SNB across the channel while Antaira with their dynamic industrial networking solutions. “The Intersec exhibition in Dubai is the perfect place to showcase Pacom’ s innovation and cutting-edge technologies to the global security market. It was a very exciting opportunity to join forces with our long-term partner SNB and to present our ever-expanding portfolio of integrated security solutions, including the latest addition – 3XLOGIC infinias access control” – Erick Boudier Country Manager Europe and MEA Stanley Black & Decker. “We at 2 CRSI were very excited to showcase our latest products and introducing ourselves to the dynamic surveillance market. Our debut in intersec was a successful one. Thank you SNB” – Ravi Sudarshan, Regional Manager – GCC. “Thanks for the Hospitality. We look forward to our growing Business relationship” – Santosh Cherieth, Head of Sales & Marketing, Salam Technology.